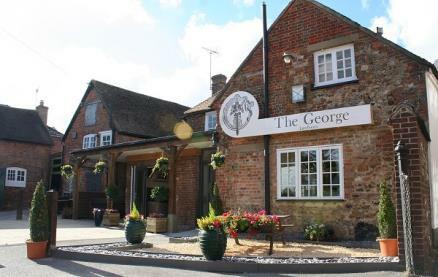 Situated in the heart of the historic village of Lambourn and close to the majestic chalk downlands of the Lambourn valley the George offers you a relaxed environment where you can enjoy great food and drink. Recently refurbished, the George provides the comfort and hospitality of a traditional village pub whilst offering fresh and wholesome cuisine with a professional and friendly service. 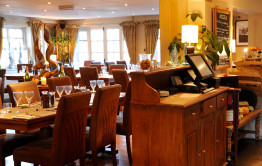 The George is a great place to enjoy a light lunch, bar snack, or to linger and savour one of our chef’s delicious meals accompanied by a superb wine. 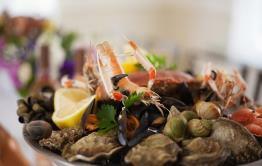 Have a look at the fantastic menus and selection of Cocktails, and Wines – you won’t be disappointed! The George is the place to cool-down in summer and to warm-up in winter in front of our open fire. Local, visitor, or anything in-between! It is the perfect location to meet with friends, celebrate with family or just while away a spare hour or two. 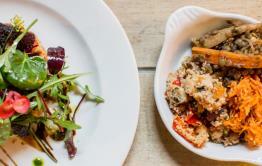 Be the first to write a review and share your experience at The George (Lambourn) with other diners.